List Rules Vote up the best women duos in music. Female musical duos have been around for as long as musicians have been hanging out and jamming together. Although they’re often criminally overlooked, female musicians are a massive part of pop music today. It's a mystery as to why these artists aren’t as popular or celebrated as their male counterparts in the industry, but it's a fact that they write amazing music, and more often than not, get people out on the dance floor. Whether it’s two sisters bonding over their love of songwriting, or two friends coming together to form an impenetrable suit of musical armor, the female duos on this list are some of the best that have ever existed. The musical duos on this list weren’t put together to fit into any genre of music. The only criteria here are: two female musicians working together to make good music. Each of the groups on this list have at least one total jam that you know you've sung along to while driving at top speed with your windows down, if there needs to be another criteria for best anything, it hasn't been discovered yet. If you haven’t heard of some of the female artists on this list, take some time to go down a musical rabbit hole after you’re finished reading, and maybe you’ll find your new favorite band. Vote up your favorite female musical duos and girl powered bands with two lead singers! And feel free to re-rank this list in order of your favorites, or even add a group that isn't already listed. 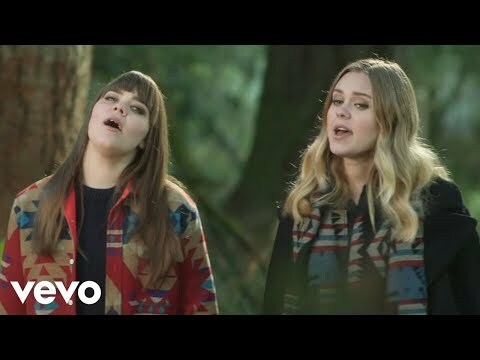 Combining traditional influences like The Carter Family, with modern folk/indie artists like Fleet Foxes and Conor Oberst, these Swedish sisters create a gloomy musical atmosphere that begs you to let it envelop you. If you haven't heard of Tegan and Sara then you need to stop what you're doing, open up a new tab in your browser and get ready to start your personal sad dance party. These twin songwriting dynamos pretty much run the indie music industry at this point.